You’ll be elegance personified in this classy lace top dress. 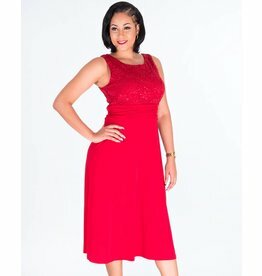 Created with timeless fashionable taste, this dress features a bateau neckline, lace overlay, sleeveless design, a hemline that rests just on the knee. 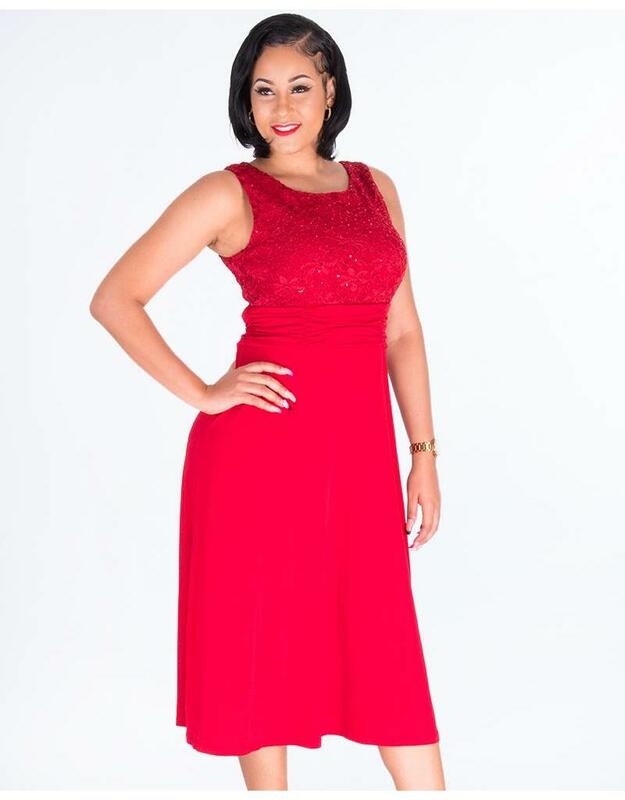 Pair this dress with accessories from our collection to meet your formal wear needs.